Soil water repellence is caused by an accumulation of waxy organic matter in the soil surface. It is worse in sandy textured topsoils. It results in uneven wetting of the soil profile and in poor, delayed and staggered emergence of crops, pastures and weeds and reduced productivity. Drier autumns, less cultivation, dry sowing and some seeding methods make the expression of water repellence worse. Management options include improved furrow sowing methods, soil wetting agents, one-off deep cultivation and clay spreading or clay delving. Accumulation of a sufficient quantity of hydrophobic, water repellent organic matter. Water repellent, hydrophobic compounds come from plants and some soil fungi. These hydrophobic compounds are deposited on the soil surface and accumulate in the topsoil. The amount of hydrophobic compounds is related to the size and type of organic matter inputs. Sandy textured topsoils with more coarse soil particles that have less than 5% clay content have lower soil surface area, are more easily coated with hydrophobic organic matter and are more prone to exhibiting water repellence. The pale deep sands, sandy duplex and sandy gravel soils are most at risk of exhibiting water repellence because of their sandy topsoils and low clay content. In the south-west agricultural region 3.3 million hectares (M ha) of soil is considered to be at high risk of soil water repellence with a further 6.9M ha at moderate risk (Figure 1). increase in dry seeding in cropping systems so dry repellent topsoil more likley to flow into into the furrow with the seed and fertiliser. increased run-off on sloping sites. 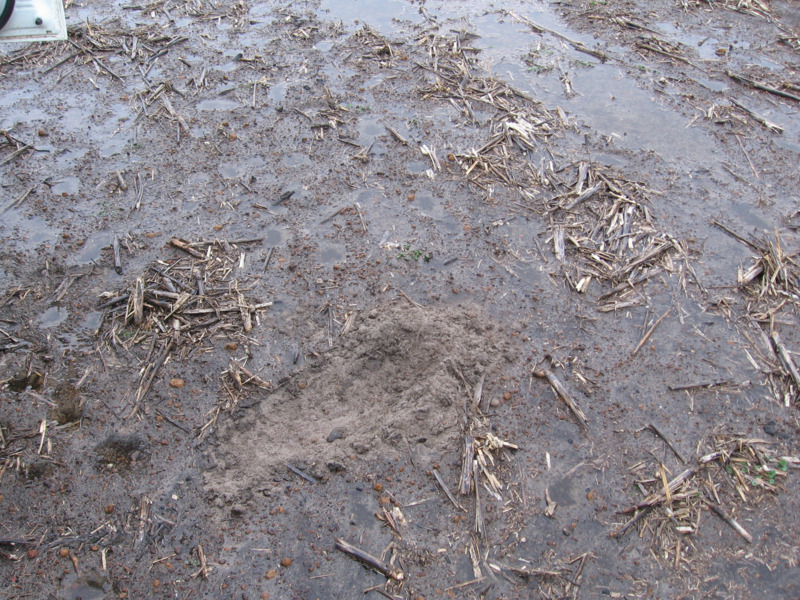 dry patches of soil between moist depressions. patchy crop or pasture growth with failure to germinate in between. poor weed control due to staggered emergence of weeds. increased risk of soil erosion over summer due to poor groundcover. Land resources in the south-west agricultural region. A shire based summary of land degradation and land capability.